1. 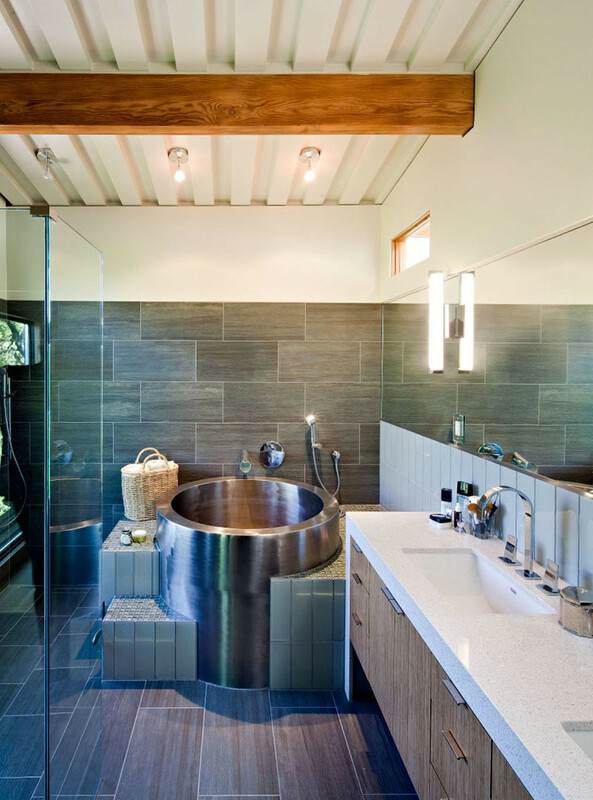 This centrally located soaking tub with views of the forest. 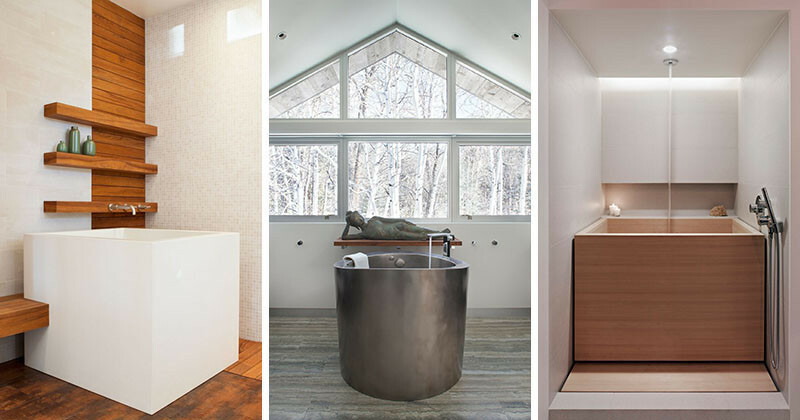 Black Birch Modern Home by Rowland+Broughton. Photography by Nick Johnson. Created by Concreteworks. Interior design by Martine Paquin. 3. 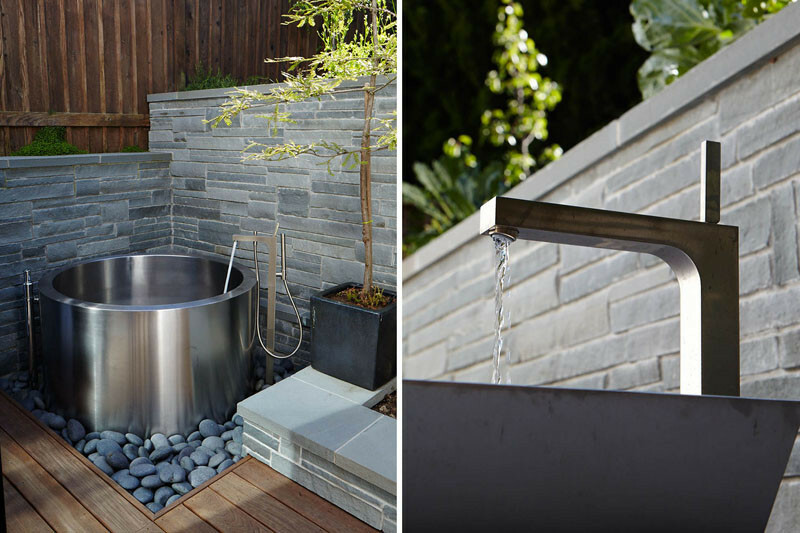 This stainless steel soaking tub is tucked away in a quiet corner outside. Landscape design by Terra Ferma Landscapes. 4. 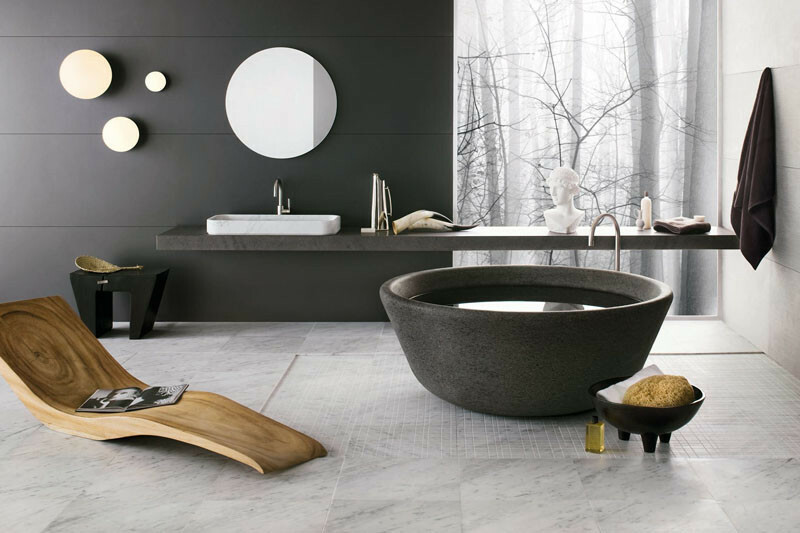 This circular soaking tub made from stone. 5. 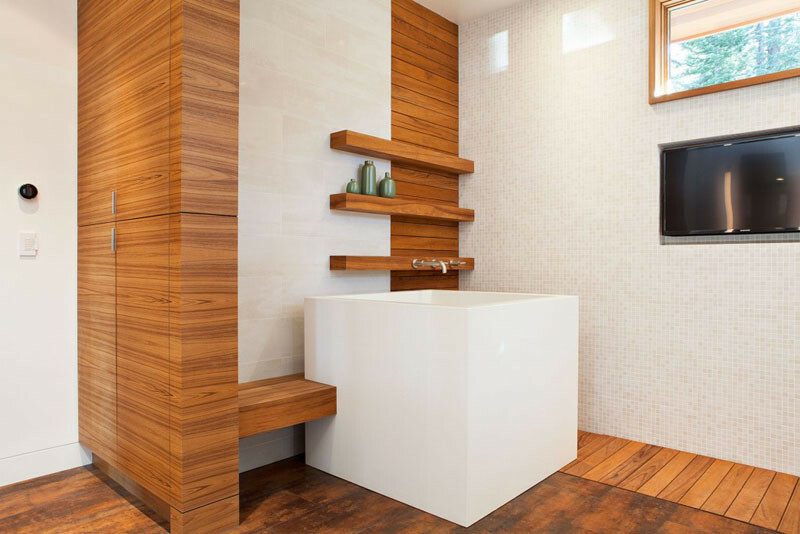 This rectangular soaking tub surrounded by wooden slats. Interior designed by NB Design Group. Photo by John Granen. 6. This carved stone soaking tub. 7. 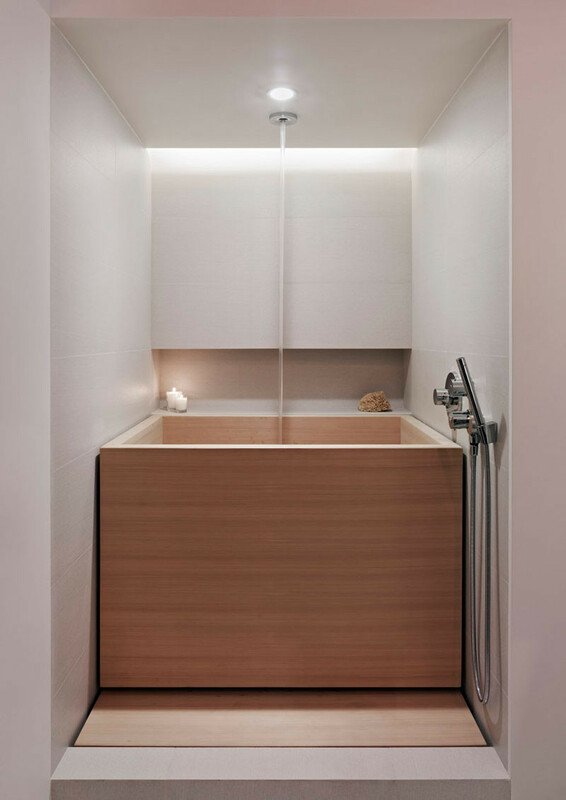 This square soaking tub that fits snugly between the walls in this bathroom. Design by Edmonds + Lee Architects. 8. This round soaking tub has steps built around it. 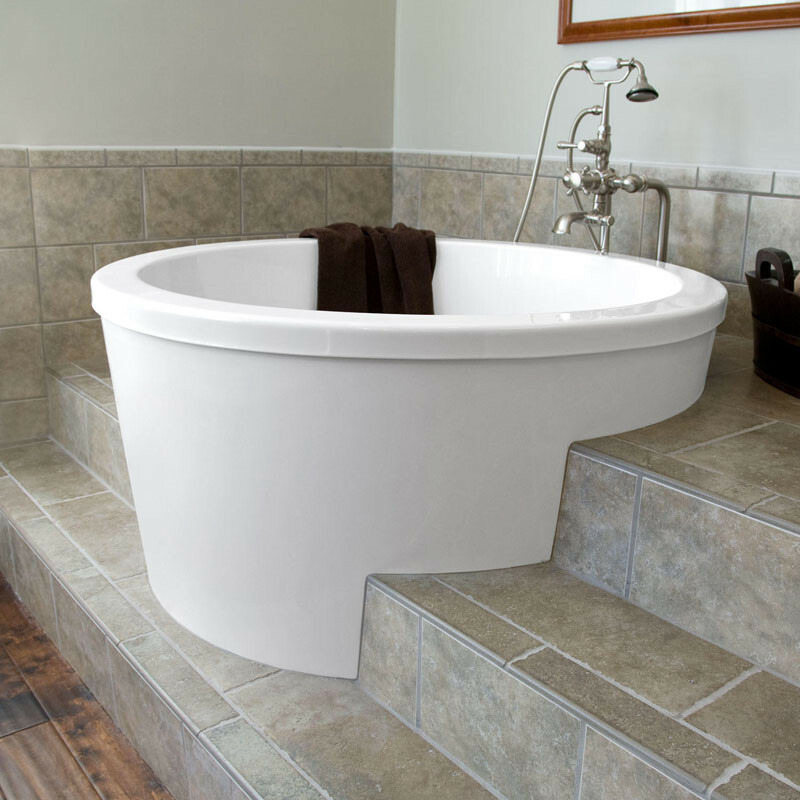 Soaking tub from Signature Hardware. 9. 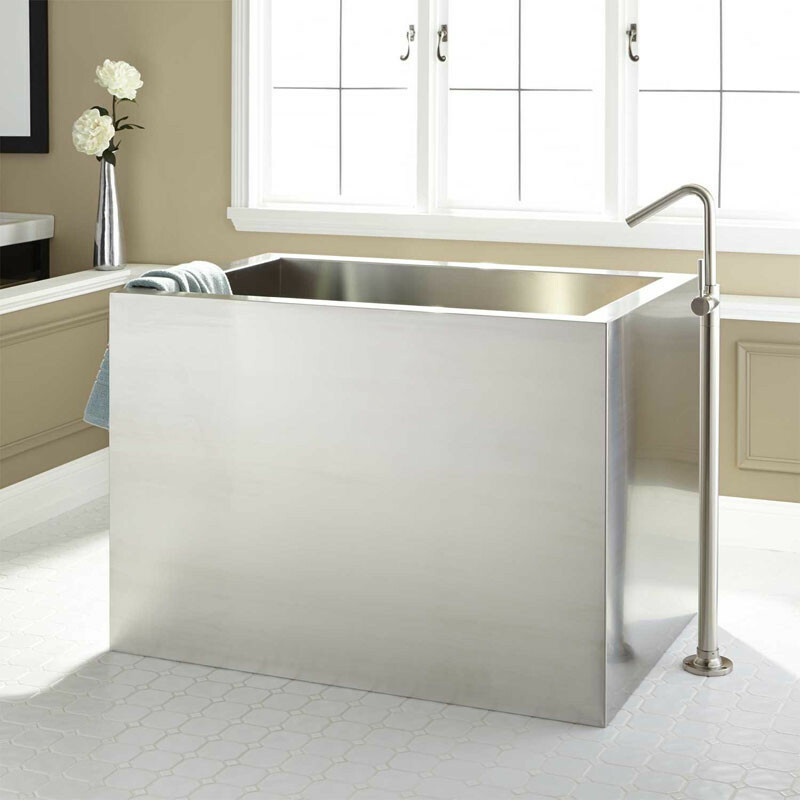 This standalone stainless steel soaking tub. 10. This sunken soaking tub in Australian ski lodge. 11. 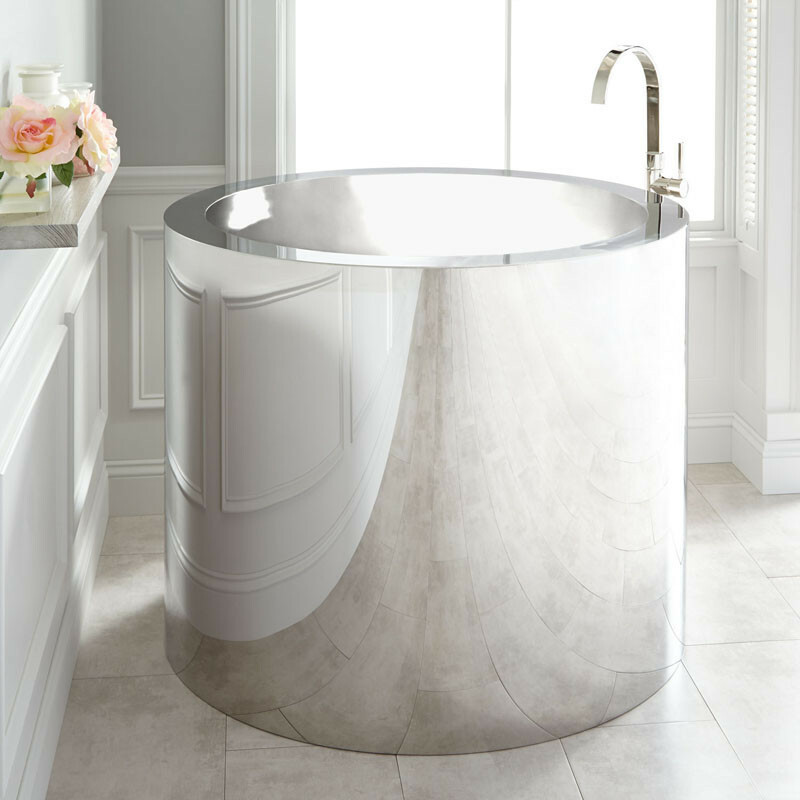 This round stainless steel soaking tub with a brushed interior. 12. 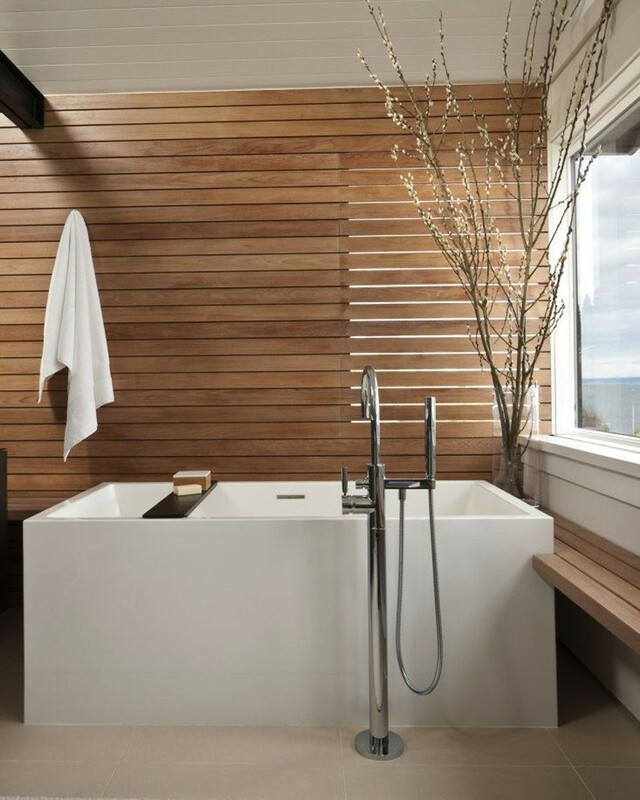 This cedar soaking tub adds a touch of warmth and nature to your bathroom. 13. 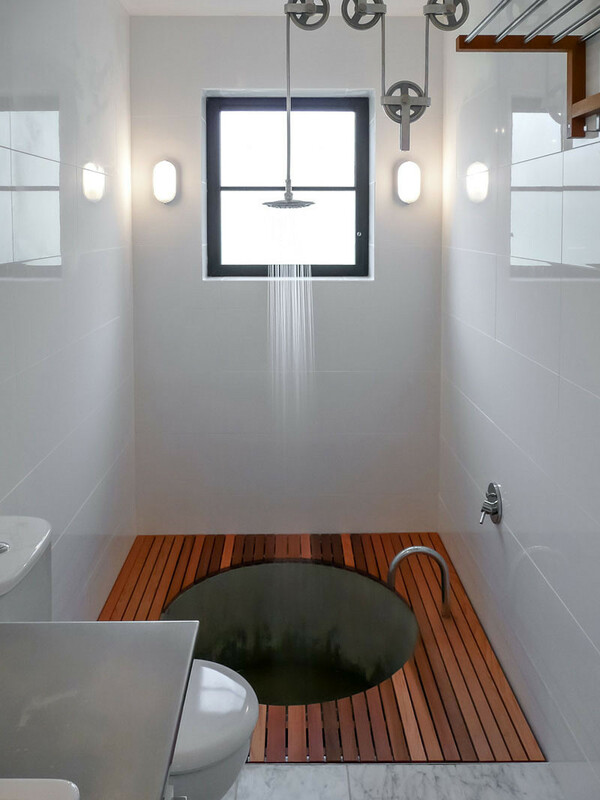 This round soaking tub has mini platforms built around it. 14. 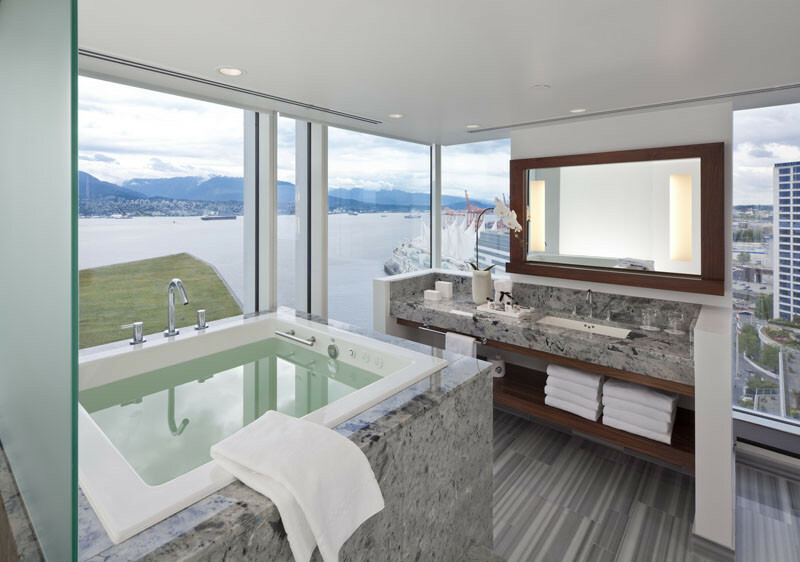 This soaking tub in a Vancouver hotel room with views of the harbor and mountains. Fairmonth Waterfront, interior design by Raven Inside.